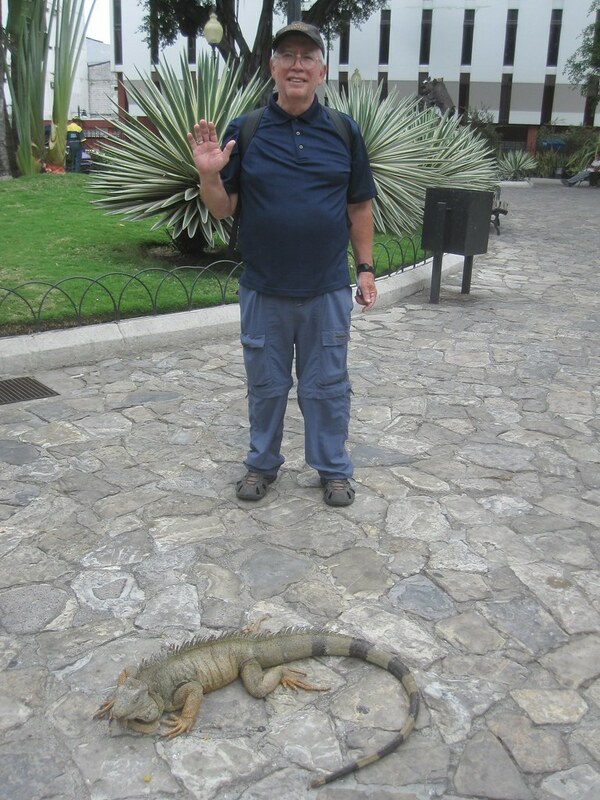 I went to one park in Guayaquil that was full of lizards, squirrels, turtles and pigeons. You had to watch where you walked. You might step on a lizard or a turtle. There were dozens of them in the park in various sizes. There were also hundreds of pigeons. They, however, didn’t seem to feel that walking on a lizard was socially inappropriate. They walked on them all the time. And they walked on the turtles, too. It was all kind of cute to watch the animals interact and to watch the animals in their interactions with the people, especially the children.